Roosevelt, NY - November 28th, 2013 - The First Squad is investigating a Robbery that occurred on Thursday, November 28, 2013 at 11:35 PM in Roosevelt. According to detectives, a 29 year old male employee was working inside the Quick Stop Deli, 528 Nassau Road, when two unknown male subjects entered the store. Subject #1 displayed a black handgun reached over the counter, grabbed the victims’ wrist and took an undetermined amount of US currency from the cash register. The two subjects then fled the scene on foot eastbound on Pennywood Avenue. There were no reported injuries. Subject # 1 is described as a male black, 5’10”, wearing a tan jacket, a black hooded sweatshirt, black pants and black gloves, Subject # 2 is described as a male black, 5’10”, wearing a black hooded sweatshirt, black pants and black gloves. 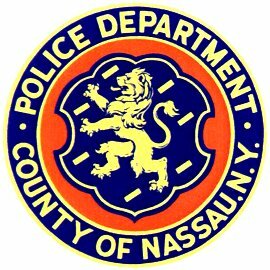 Subject: LongIsland.com - Your Name sent you Article details of "NCPD Crime Alert: Two Suspects Sought for Armed Robbery of Roosevelt Deli"